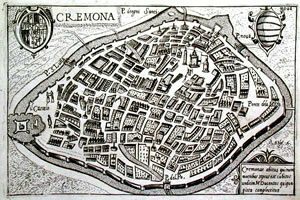 Around 1550, in a town called Cremona, which is centrally placed in the flat expanse of the Po Valley, worked an instrument maker named Andrea Amati. As well as being a a master craftsman he possessed a profound understanding of sound. He appreciated how sounds travelled, responded to surroundings and interacted. It might also be reasonable to presume that he was sensitive to and appreciated the extraordinary effect of the exquisite music which was being composed and performed. He might also have been slightly frustrated by a few wolf notes here and there! Perhaps most importantly of all Andrea was able to manifest and combine these insights into the instrument we call the violin. The method of violin making he invented is truly extraordinary. It is extraordinary in its perfection, its simplicity and its effectiveness. It has a dramatic and colourful history of almost five hundred years during which it has inspired, intrigued, baffled and enriched the lives of people from every walk of life. What Andrea achieved was to marry acoustic, harmonic and mechanical functions perfectly in an elegant form which follows and arises from these functions. Yet this form is so elegant and graceful that it is as if the instrument were an object solely designed to be beautiful. Remarkably this was the work of one man, and the system he devised served violin makers in Cremona for over two hundred years, during which it remained unchanged, serving the differing tonal needs of his followers without fail. The story of the Cremonese violin’s invention begins and ends with Andrea Amati.